What do we miss when we stick to that which is familiar? How will we ever know if we don’t try something new? In that spirit, helped by a bit of boredom with my usual locales, I took a new way home tonight, swinging over to the Great Highway, following the beach down, and eventually settling in for a wander around the end of Judah in the Outer Sunset. 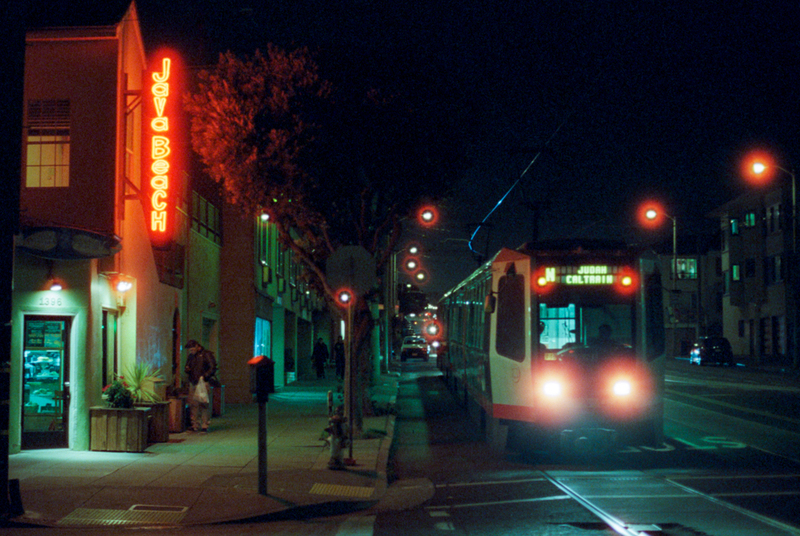 The N-Judah happens to turn around down here by Java Beach, and it turns out that my absurdly large collection of Muni photos has been stagnant for a while, so this seemed like the perfect place to play some more with the Cinestill in high speed/low light situations. Again, for the first roll, I’m quite pleased. It handled the dark like a champ, getting plenty enough light from the coffee shop, street lights, and Muni to keep a reasonable speed; the halos are there, but I kind of like the look they add; and I’m digging the colors. 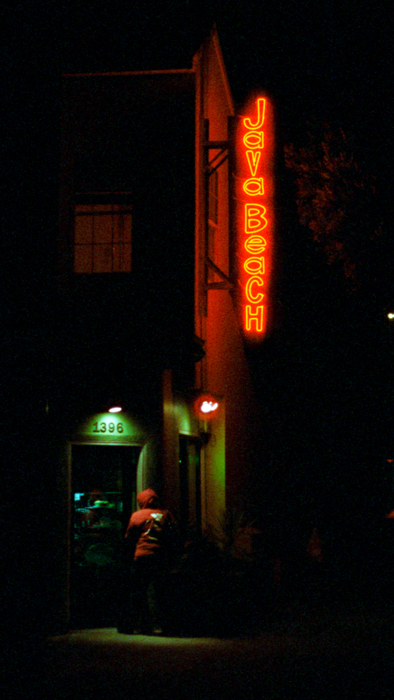 Not to mention, digital can’t touch the way the film handles that lovely neon.